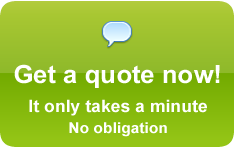 Offering you a fast, professional and reliable same day courier service right across the UK. You will be informed just as soon as your goods safely reach their destination. One of our friendly team will call you personally and advise you of the exact time and the name of the person that has signed for your goods. In the rare instance that there should be any problem along the way, you will of course be informed immediately. The services you see listed in the box are just some of the many that Supersonic Sameday UK provides for many companies nationwide. However, should your business require something that is not on the list please call us on 0845 052 1596 and advise one of our friendly team of your exact requirements. We will then arrange a service specifically tailored to suit the needs of your business. No matter where your company is based in the United Kingdom your business will undoubtedly benefit from the proficient transport assistance we consistently provide. Whatever your same day transport requirements, just one call from you to our friendly and experienced team will mean your valuable goods are swiftly being transported to the destination of your choice with an experienced and competent driver. One call generating peace of mind for you and also the time to focus on the other important aspects of your business. When your business is in need of an urgent same day courier, call Supersonic Sameday UK on 0845 052 1596 or click here for a fast, free, no obligation quote.